Bike to School Week is dedicated to encouraging more pupils to cycle to school. It is an ideal opportunity for those already cycling to encourage others, and for new cyclists to take to two wheels. You can organise individual or group activities for maximum involvement and promotion to the whole school community. Older pupils are often keen helpers and can be utilised in many ways, ie parking attendants, breakfast servers. National Bike Week is delivered by Cycling UK, and the first one took place in 1923! If your school isn’t able to run an activity during Bike to School Week, why not do something during National Bike Week. It’s a great opportunity to highlight the health and environmental benefits of cycling, and can extend into the local community as well. The Big Pedal is the UK’s largest inter-school cycling and scooting challenge that inspires pupils, staff and parents to choose two wheels for their journey to school. It is organised by Sustrans and takes place in the Spring Term each year. 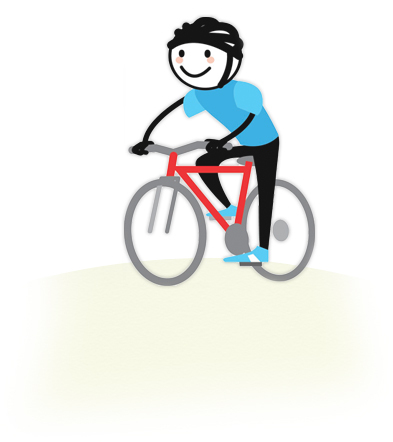 On each day of the challenge schools compete to see who can record the greatest number of pupils, staff and parents cycling or scooting to school.Your best five days will determine your final position, but you can log journeys on all ten days if they wish. If you live in or near Aylesbury, why not use the Gemstone cycle routes to get to your destination? Log onto the Cycle Aylesbury website to download individual maps or the kids map for some extra fun things to do on the route. Sustrans have details on cycle routes across the country. Their route mapping tool can help you to find on and off road cycle routes.